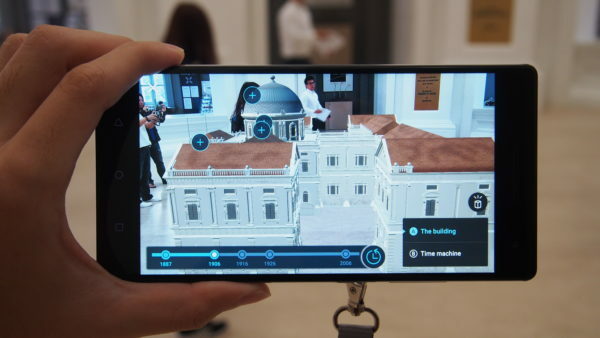 The National Museum of Singapore will be using augmented reality (AR) in special tours planned for its 130th anniversary throughout weekends in April and May, as the technology continues to find its place beyond games such as Pokémon Go. 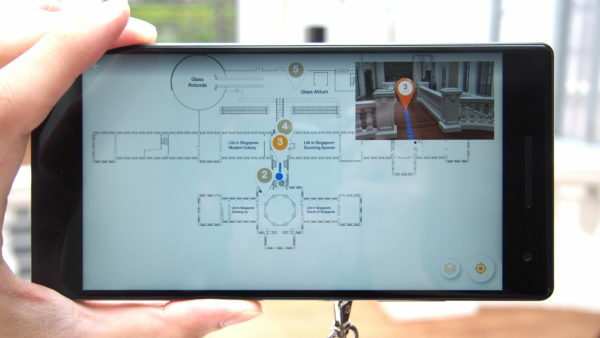 An extension of the museum’s guided building tours, the new feature lets visitors witness the evolution of its architecture over time through a device running Google’s Tango AR technology. 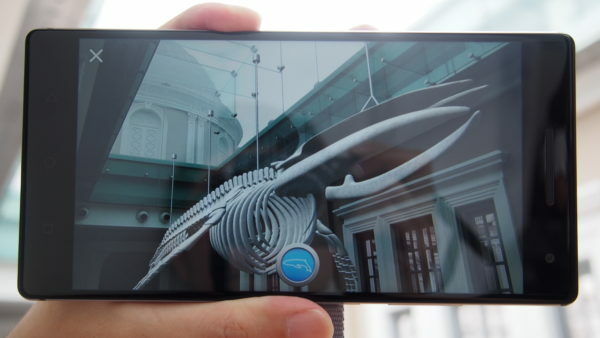 They can even view a floating Indian fin whale fossil that was previously on display, among other exhibits. AR combines imagery from the physical world with digital ones like graphics, video and satellite data. 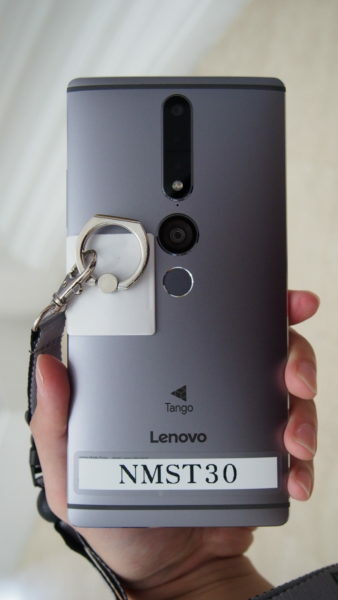 The National Museum tour follows another notable deployment of Tango here at the Marina Bay Sands ArtScience museum in February. Going by a hands-on at a media preview today, setting up the tour is straightforward. 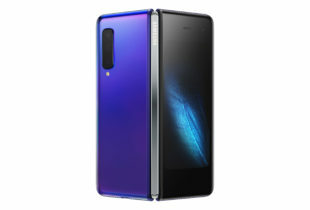 All there is to do is fire up the app, ensure your fingers are not blocking the camera and depth sensor on the Lenovo Phab 2 Pro smartphone issued, and you are good to go once the device locates itself. Following a simple tutorial on its features, the user is presented with a two-dimensional map of the museum, with various points of interests indicated with arrows and one’s current position marked out by a blue blip. When clicking on a point of interest, the application will guide you into the right position to view the virtual artwork by overlaying blue dots over the physical path to follow using video feeds from the camera. Nifty. In my tests, the location detection worked very well and transitions between floors (the tour covers two levels) were seamless. Menu options, however, such as the one for shifting through timelines, are small and not visible at first glance. Do look out for and click on them. To me, this is certainly an interesting way to complement the museum’s offerings beyond physical artefacts, driving additional means of storytelling to complement the ones shared by volunteer guides leading visitors on these tours. 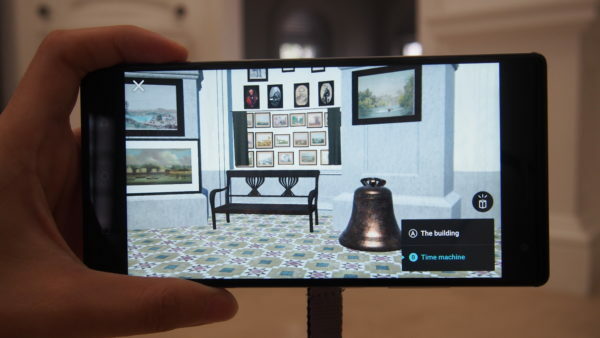 The National Museum has been mapped for AR by Google when it launched Tango here, together with other places of interest like Marina Bay Sands, according to Jervais Choo, a senior assistant director with the National Museum of Singapore, who is heading up this initiative. 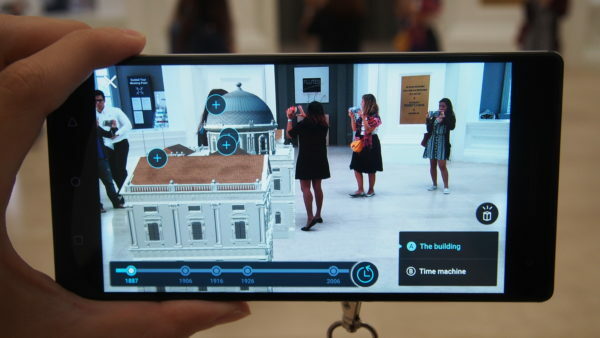 Development of the AR experience, which had been used in museums at Barcelona, took four months, added David Lerman, chief executive of GuidiGo, the firm that created the application powering the tour. This excludes the time Google took to fine-tune its maps for the tour and the initial conceptualisation and planning for the project, all of which would add up to about nine months, said Choo. 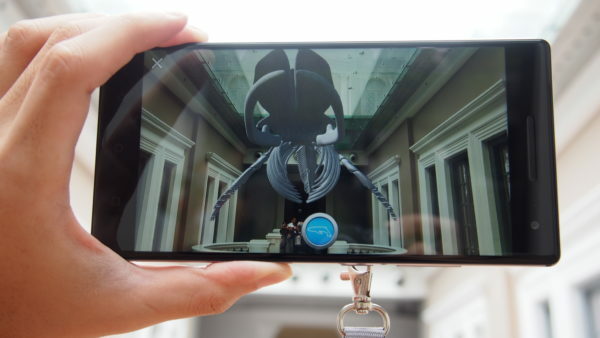 There is potential in the technology, and the early showcases in Singapore signal the potential for AR to be deployed in tour experiences. There can be improvements, of course. 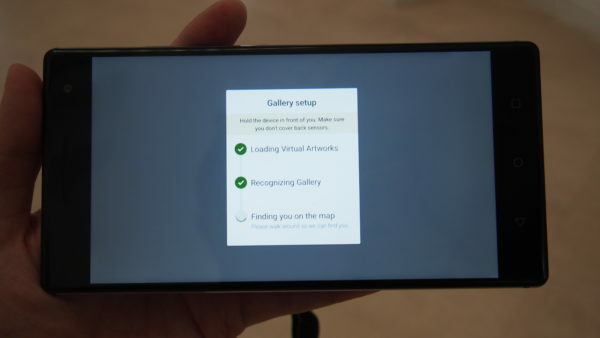 Considering how precise the size scaling works on Tango, it will have been great if we are able to see actual images of artefacts instead of graphical illustrations, for instance. And there is a chance for these plans to materialise. These tours are free, and scheduled to run on 22 April, 6 and 13 May at 3pm and 5pm. It will run at 2pm on 29 April. They will then take a break between May and June before continuing until the end of the year, according to Choo. He adds that the museum is prepared to expand the programme if the response is positive.